Feel better just knowing that you have a locally owned health care organization behind you in helping to ensure your good health. 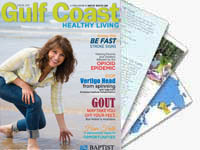 Women are on the go more than ever now days and Baptist Health Care wants to be with you every step of the way. Whether you are concerned about preventive screenings, considering childbirth, or need to consult about something you hope isn’t serious, our doctors can provide the care you need. 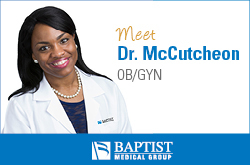 If you want to speak one of our expert OB/GYN physicians, call Baptist Medical Group Ladies First at 850.432.7310.